Water is one of the primary elements that keep us alive. Our bodies are up to 70% water, and we shouldn’t deny them the correct daily intake of this miraculous substance. What if there is a better alternative, tastier and equally healthy? Well, there is! Be ready to discover ten delicious fruit infused water recipes. For our body to work properly, and for our skin to be clean and fresh, we need to drink at least 2 liters of water per day. People who hate drinking plain water and, even worse, replace it with unhealthy juices or soda, you need to know there is a way to make it taste better. Just take a look at the following water fruit infusion recipes and be ready to improve your daily diet. If life gives you lemons… make a fruit infused water bottle! Cut a lemon in half and squeeze it into your water. It is just as easy as that. Careful not to squeeze too much lemon juice, as it might become too sour or even too bitter if you leave the peels in it. Also, there is no secret that this is one of the fruit infused water recipes for weight loss. 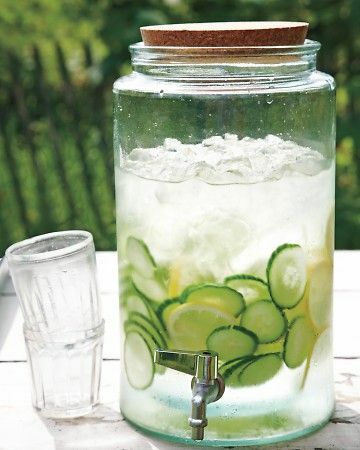 Another fruit infused water recipe consists of adding slices of cucumber in it. Cut some slices of cucumber, add them to your bottle, and let it rest a bit in the fridge. The water will absorb the taste of cucumbers. You can add two-three slices of lemons to improve the taste. As surprising as it may seem, cinnamon can be added to your drinking water to spice up its taste. The making process is quite easy and fast. Take a cinnamon stick and boil it in a bowl of water, just for 1 minute or two. Let it cool down and use the mixture as a concentrate. Mix it with a larger quantity of water. Apart from infusing your drink with a nice taste, Cinnamon has many health benefits you should know about. This is another delicious way of making your water taste yammy. This is one of those recipes for fruit infused water that allows you to be creative. Mix and match berries, apples, citrus, and melon to your liking. Add all the fruits of your choice in the water, add ice cubes and let it rest for the night. The next day you will have the tastiest water you have ever imagined. Herbs are an excellent way to improve the taste of water, as they have different aromas that you can experiment with. One classic herb used to infuse water is mint. Add mint leaves to your drink and let it set overnight. If you like basil in your food, then you will enjoy it in your water as well. All you have to do is to add crushed basil to it. Remember that you can always add lemon to play more with the flavors. Slice a piece of ginger and add it to your water. If you like spicy foods, you will love ginger water as well. Don’t forget that in large amounts ginger can be very spicy, so control the quantity you are using. Flavored ice cubes are a stylish way of making your water look more glamorous, and you can use this idea for parties or special events also. The ingredients that you will need are filtered water, raspberries, blackberries/blueberries, pineapple, mint/basil and pomegranates. The process of putting this fruit infused water recipe into practice is super easy, and the result is amazing. You can take the fruits you like best, and make a pure out of them. Mix the fruit pure with some filtered water, add the mixture to the ice cube trays and put them in the freezer. Repeat the same process for each fruit. When you make the pomegranate cubes, take the seed and squish them with a knife for the flavor to pop out, then mix it with filtered water, and place them into the freezer. For the mint and basil, you just cut the leaves into small pieces, mix it with filtered water, pour it into the ice tray and, you got it, freeze them. How delicious is that? This is not just water, but a healing potion for your body. Mix water with unsweetened cranberry juice and enjoy the rest of your day. Cranberry juice is known to be antibacterial and to clean the kidneys and the urinary tract. Mandarins, oranges, clementines, tangerines – all of these delightful fruits will make you happier while drinking your fruit infused water. Who doesn’t like the fresh aroma of a fresh squeezed oranges? Let’s not forget about the large quantity of Vitamin C that all these fruits contain. Slice some pieces and add them to your water. Do you like the smell of rose perfume? If yes, then the rose flavored water is meant for you. Get a bottle of rose pure water from your local whole foods store. 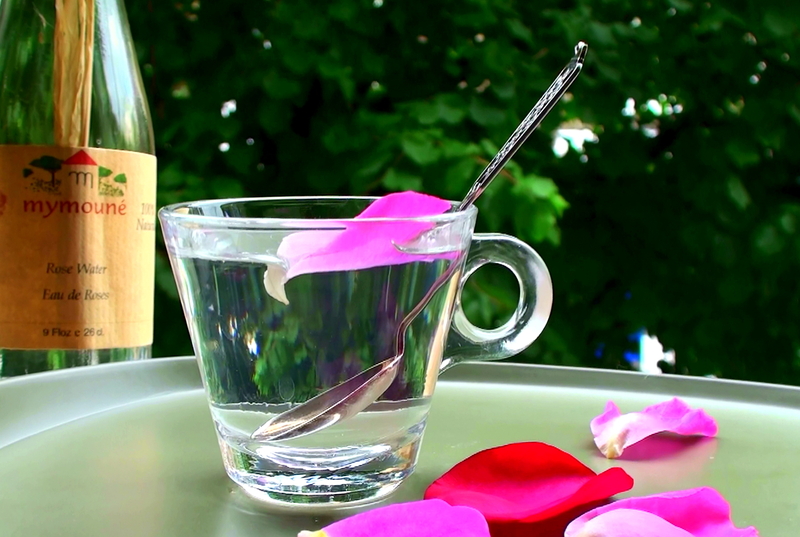 Start by adding a tablespoon of rose water to about a liter of still or filtered water. Taste it and see if you would like to add more. The best part with this fruit infused water recipes is that you can be as creative as you want. There are no wrong ways to play with these ingredients. Adjust quantities, mix different fruit, relax and enjoy the final result. Fruit infused water adds color to your life and there’s no drink healthier and tastier than it! Image Source: Imgarcade, Food network, Pinterest, HealthyFoodHouse, Babble, fitbie, HealthBenefitsofLemonWater, the chich site, NewHealthGuide, NATURALSKINCARE, themoderngladiator, LisaGusto.